The National Flood Insurance Programme (NFIP), the U.S. government programme to provide homeowners with flood insurance, will payout an estimated $7-10 billion in claims from hurricane Harvey and undoubtedly trigger its $1 billion of reinsurance cover, according to RMS. The NFIP, which is set to be reviewed and potentially reformed in coming weeks, will see its $1 billion reinsurance cover which is shared by 25 reinsurers payed out once it’s reached $4 billion in claims. 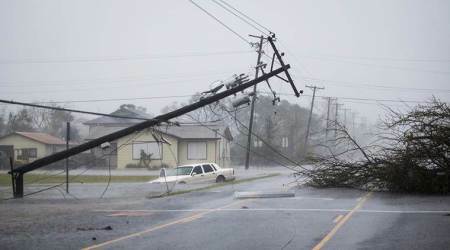 Its first $8 billion of claims’ payouts will be shared by FEMA and the private market, RMS said. The RMS loss estimate is based on measuring impact to NFIP exposures to severe weather events using data from the programme’s 2015 policy portfolios with about 40 percent of NFIP’s Harvey claims expected to come from Harris County alone. “Given the extent and duration of inundation, it is not unreasonable to assume an average paid loss of US$65,000. For context, this figure is consistent with the mean claim NFIP paid out for Superstorm Sandy. “However, taking our US$7-10 billion modelled loss dividing by the assumption of a US$65,000 mean average claim, the program will receive approximately 100,000 to 150,000 claims from this catastrophic event,” Pete Dailey, Vice President of RMS product management, noted. It seems NFIP’s efforts to diversify risk into the global risk transfer market are starting to pay off,” he added. Last week, the risk modeller reported an expected overall combined loss from wind, surge and inland flooding at $70-90 billion, although this figure will continue to be refined as losses are tallied up. RMS believes Harvey will be a top three loss event for the NFIP, not topping Hurricane Katrina losses, but likely as large if not larger than 2012’s Superstorm Sandy. The disparity between economic and insured losses from hurricane Harvey highlights the need for bigger and improved disaster risk mitigation and protection programmes and with the NFIP due to be reauthorised and potentially reformed in coming weeks, hurricane Harvey will undoubtedly raise the bar on the question of how to protect regions vulnerable to extreme weather events. We took a look at some of the numbers the NFIP provided to us earlier today, and it already looks like the reinsurance program is heading for a payout.